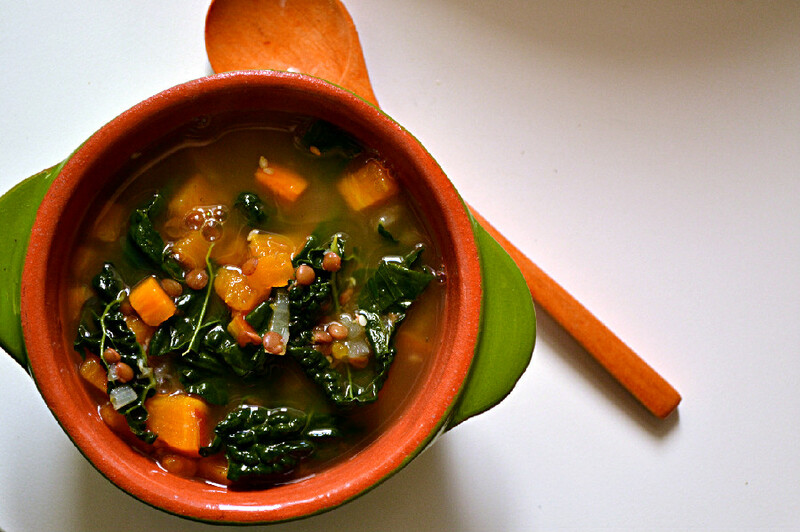 Now that you’ve completed Italian Soups 101, let’s move on to the recipe. Inspired by a childhood favourite, adas bi hamod, I set out to make a chunky soup or minestrone. Adas bi hamoud is a Lebanese lentil (adas) soup, with added potatoes and swiss chard and a twist of lemon (hamoud), hence lentils in lemon. It’s a comfort food that takes me back to mama’s kitchen. Since I didn’t have potatoes or swiss chard on hand I decided to change things up and used sweet potatoes and kale and instead of the lemon a hefty pinch of za’atar spice. While it most certainly wasn’t adas bi hamoud by the time I was done with it, it was a chunky and comforting minestrone nonetheless. A word about lentils. This tiny little legume packs a host of nutrients making it an important source of protein and fiber, not to mention folate, iron, B complex vitamins and many important minerals. Lentils are essential to a plant based diet and unlike most other dry beans and legumes they are relatively quick to prepare and don’t require soaking. 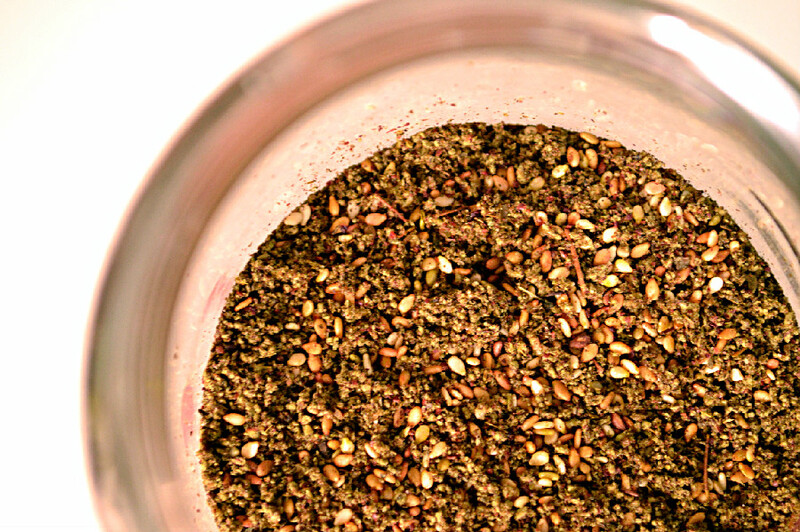 They make great additions to soups, grains, vegan taco filling or spreads and pair really well with most herbs and spices. Here the brown variety is used for its earthy flavour that compliments the sweetness of the sweet potato in the soup. It also holds its shape nicely and doesn’t become mushy, making it perfect for a chunky soup. 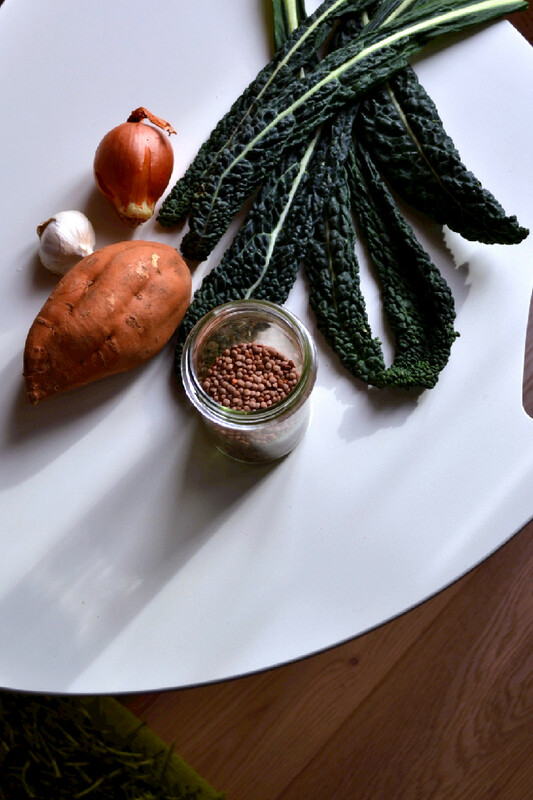 This hearty soup is made with brown lentils, sweet potatoes, and tuscan kale and seasoned with za’atar spice and herbamare for a comforting and satisfying one pot meal that’s packed with protein, fiber, and several essential vitamins and minerals. Sautee onions in oil or water until translucent. Add crushed garlic and sautee for an additional minute. Add diced sweet potato and uncooked lentils (if using cooked lentils, see instructions below) and stir to combine and aromatize with the onion and garlic. Add water, bring to boil, reduce heat and let simmer for about 25 minutes until the lentils are well cooked, but still firm. In the last 5 minutes of cooking, stir in seasoning and torn kale pieces. Add diced sweet potato and stir to combine and aromatize with the onion and garlic. Add water, bring to a boil, reduce heat and let simmer for about 20 minutes until the sweet potatoes are well cooked, but not mushy. In the last 5 minutes of cooking, stir in seasoning, cooked lentils and torn kale pieces. Serve hot and store any leftovers in an airtight container in the refrigerator.